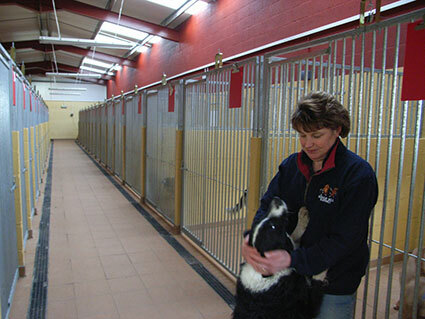 Floors are all tiled – helping us to maintain our extremely high standards of hygiene. 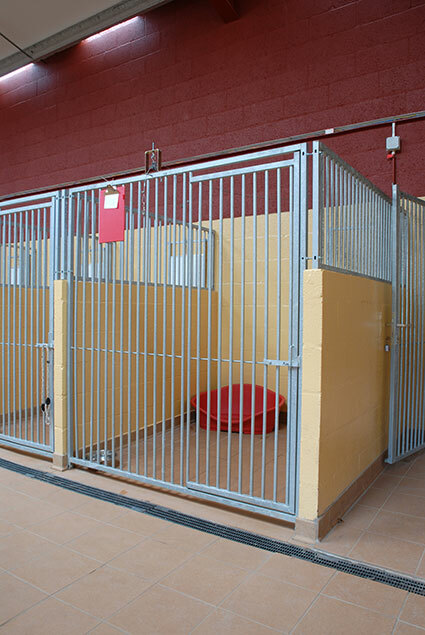 Each kennel also has its own spacious undercover run which our guests have access to at all times. 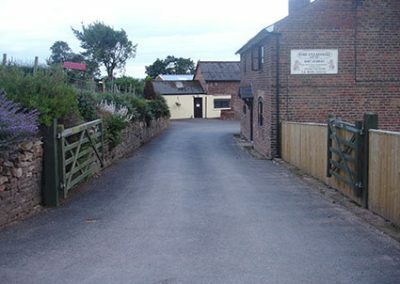 We stock a wide selection of dry foods and tinned meats so all of our canine guests can be fed their normal diets where possible. We also stock and sell the CSJ range of dog foods. Please feel free to provide your own food if you prefer. Any specific dietary requirements can be catered for – please discuss when booking. 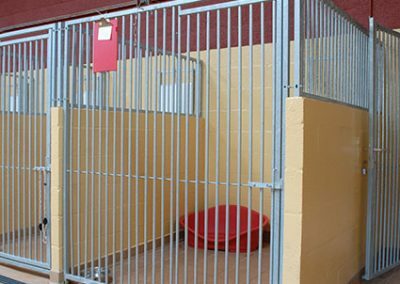 All baskets, bedding, bowls etc are provided, but we do allow you to bring in a small comfort item on the first time of boarding (blanket, toy etc. clearly named – no bean bags please). Please make sure these are washable as we wash all bedding daily if required. Vaccinations: All dogs must be fully vaccinated, including vaccination against infectious tracheobronchitis (Kennel Cough). All certificates are to be produced on arrival at the kennels. Entry will be refused if vaccinations are not up to date. 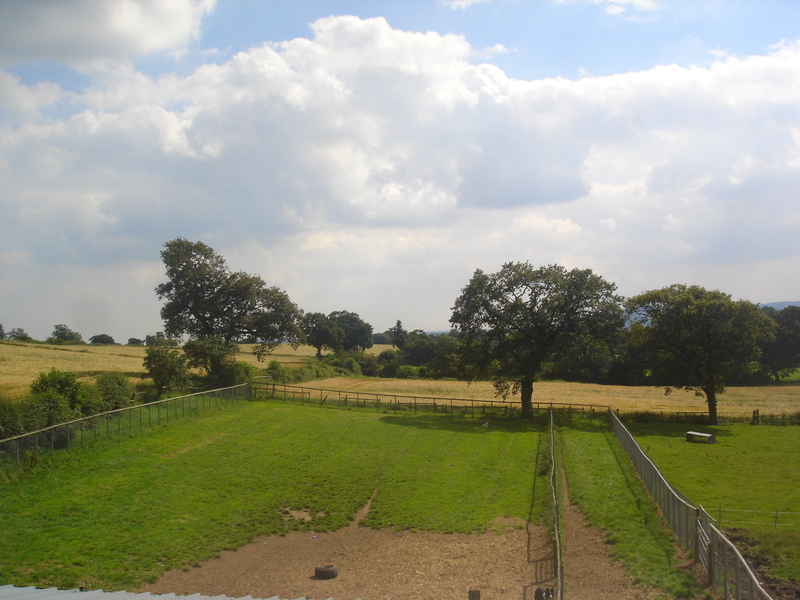 Exercise: All dogs are exercised off the lead twice daily in our securely fenced exercise paddock. All animals need lots of love and attention, so tell us what your dog(s) like best and we will try and meet their needs. We really like to pamper our holiday guests. We would like to know as much detail as possible about your dog(s), so please try to remember to tell us their likes and dislikes to ensure they have a happy holiday. 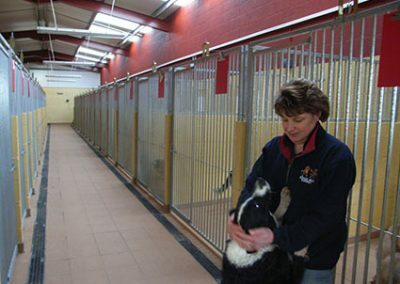 Nervous/Timid animals need extra care and attention, so please do mention any worries you may have. Medical information is essential, so don’t forget to tell us everything about your pet, however minor it may seem.